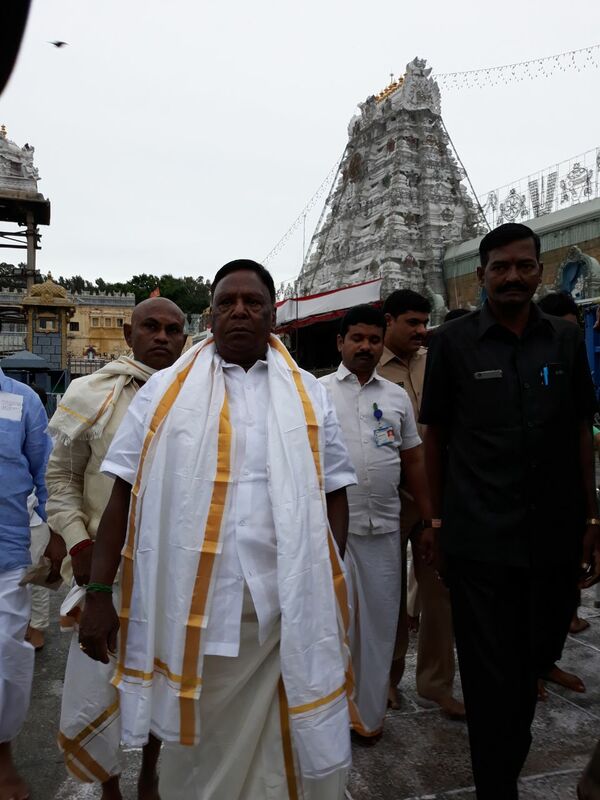 Pondicherry CM Velu Narayanaswamy today visited Tirumala hill shrine and offer his prayers to Lord Venkateswara. 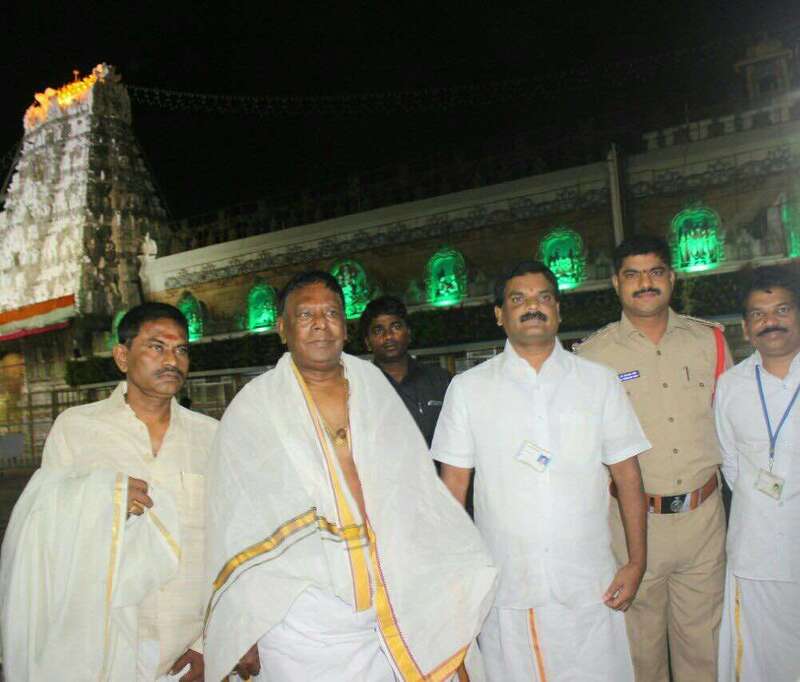 He had darshan of the deity during VIP break. 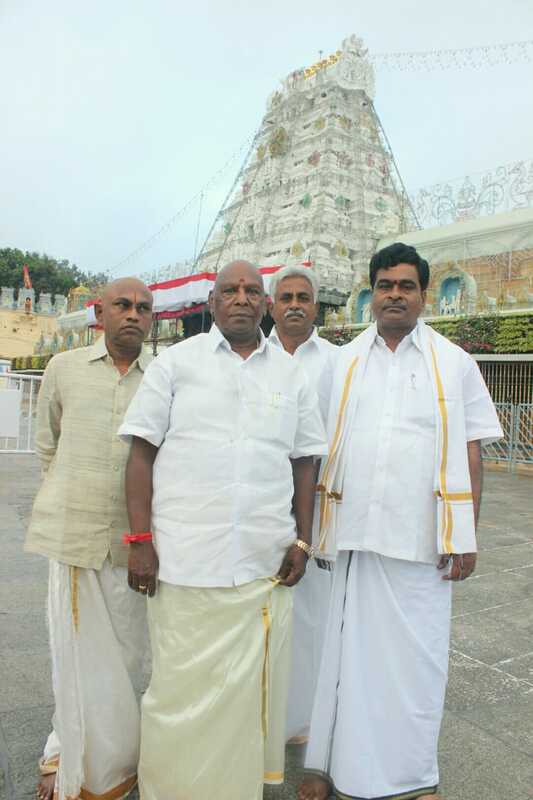 After darshan priests rendered Vedasirvachanams on him at the Ranganayakula mandapam inside the temple complex.